As a requirement by New Mexico car insurance law, all registered vehicles in New Mexico must be covered by car insurance. 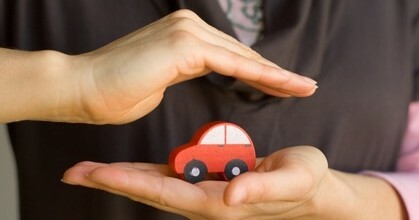 This is to protect you from financial burden brought by car accidents. Note: New Mexico car insurance laws do not require you to purchase Collision or comprehensive coverages. However, these two insurance policies are required if you intend to purchase your car through a lease agreement or car loan. Uninsured and underinsured motorist coverage will help cover the cost of expenses involving a driver with inadequate insurance cover or no insurance cover at all. New Mexico car insurance laws require you to purchase these insurance coverages as part of your insurance policy. State agencies in this state use an electronic database to monitor or verify the status of all registered cars’ insurances. If the database shows that your car is not insured, you will receive a letter notifying you to comply with New Mexico’s car insurance requirements. If you fail to comply with this letter, you will face registration suspension. If you fail to comply with New Mexico’s car insurance requirement and your car registration is suspended, you can get it reinstated. You will be required to obtain valid car insurance and request your car insurance provider to update your information to the database. In this event, you will be required to pay a $30 reinstatement fee. If you are considered a high risk driver, you may find it difficult finding a car insurance provider to insure your car. But good news is that you can apply for insurance coverage through New Mexico Motor Vehicle Insurance Plan. Insurance coverage through this plan is a bit expensive because of higher risks involved. New Mexico Motor Vehicle Insurance Plan is one of the state plans that form the Western Association of Automobile Insurance Plans (WAAIP). To apply for insurance cover through WAAIP, contact their customer care personnel at (415) 765-6767. New Mexico’s Office of Superintendent of Insurance is the office that helps the public with issues related to car insurances such as car insurance complaints and frauds. If you have a dispute with your car insurance company, you can file your complaint online through this body’s website or contact the Consumer Assistance Bureau hotline (505) 827-4601. These discounts can help you save huge sums of money. But remember that the best way to get cheap insurance is to maintain a clean driving record.